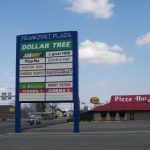 Frankfort Plaza Shopping Center - PPI Real Estate- Property Professionals Inc. 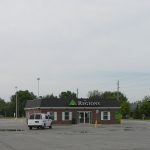 The Frankfort Plaza Shopping Center is a 64,000 square foot neighborhood retail center located at the corner of Wabash Street and Hoke Avenue in Frankfort, Indiana. 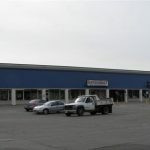 There is approximately an additional 2 acres for future development next to the center. 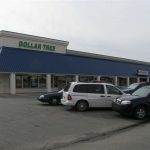 The retail center caters to national and local retail tenants, such as Dollar Tree, Subway, Label Shopper and more. 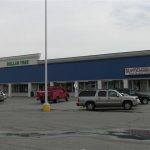 Kroger/Ruler Foods anchors this prime shopping center on hard corner. Lease terms are typically three (3) years to five (5) years. All spaces have front and back door entry with private restrooms. Tenant improvement allowance is available. 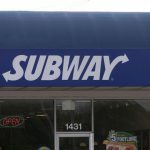 Signage is available above all businesses in addition to the newly designed pylon sign along Wabash Street. There are over 350 parking spaces with ample lighting. There is easy entrance and exit for semi-trucks available. The retail center brings in +/- 17,000 cars per day. Frankfort, Indiana is the county seat of Clinton County with regional drawing power. Frankfort has an airport and two rail lines (Norfolk Southern and CSX) that serve the Frankfort area.